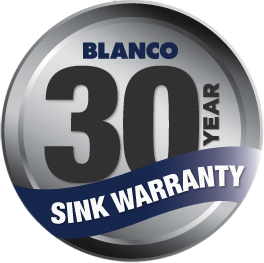 The Blanco White Single Bowl 2 Level Design Undermount Sink SUBLINE700ULWK5 comes with Designer wastes, Rear waste position, Durability, Maximum Bowl Size, Unique Functional Level, Custom Optional Accessories. Designer sink in SILGRANIT PuraDur – with integrated functions level. Never again will you have to choose between form and function. The unique bowl design combines striking aesthetics with ultimate durability, providing both single and double bowl functionality. The raised functional level within the bowl allows for placement of the multi-functional stainless steel basket to rinse fruits, vegetables and utensils. There’s plenty of room in the generous bowl for extensive cooking pleasure – even with bulky items. 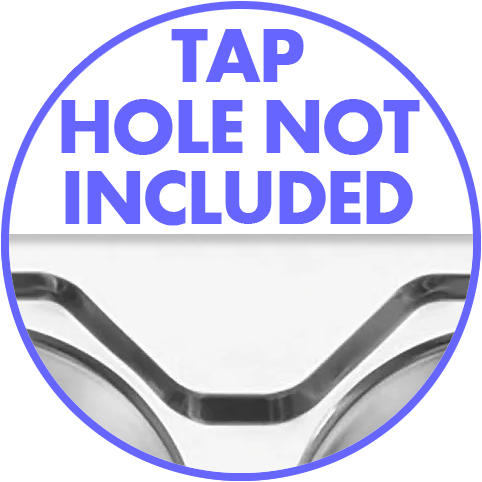 Functional drain grooves remove excess water into main sink- ideal for draining and drying. You can prep, cook, clean and be done in minutes. BLANCO SUBLINE700U-Level is the perfect solution for those with limited space and an eye for style. The single bowl sink with 2 level configuration and Custom Optional Accessories make it easy to keep things in order. From the versatile and functional glass cutting board and stainless steel colander that can maneuver across the entire width of the sink, to the stainless steel basket that is matched perfectly to the functional level – providing optimum space utilization for any kitchen. Each component is well thought through and compliments each other in concept, material and quality to make kitchen life more efficient and comfortable. Like all SILGRANIT PuraDur sinks, the BLANCO SUBLINE500IF SteelFrame features a unique patented hygiene protection formula that creates an antibacterial finish on the surface. BLANCO’s HYGIENE+PLUS not only shields against dirt and bacteria, the closed surface stays cleaner, without the need for abrasive cleaning agents. Independent laboratory tests confirm that the unique built-in hygiene protection reduces bacterial growth by an average of 98%. The unique IF rim, also marries visually with the hygienic C-overflow an elegant, permanently hygienic, stainless steel safe cover. The stainless steel flap simply unclips for cleaning, and clips back into place when required. II The new outstanding properties and the advanced material technology of SILGRANIT PuraDur provides a composite sink which is exceptionally easier to care for than ever before. BLANCO holds nine exclusive patents for SILGRANIT PuraDur, which makes this material the only one of its kind in the world. SILGRANIT PuraDur consists of 80% granite, which makes it unbeatably resiliant, extremely durable, scratch proof, heat resistant, unbreakable and acid resistant. Further confirmation of the outstanding properties of SILGRANIT PuraDur comes in the form of 3 quality certificates from the LGA Nüremberg, an independent, internationally recognised institute. Elegant combination of stainless steel and SILGRANIT which will suit all types of kitchen products and worktops.